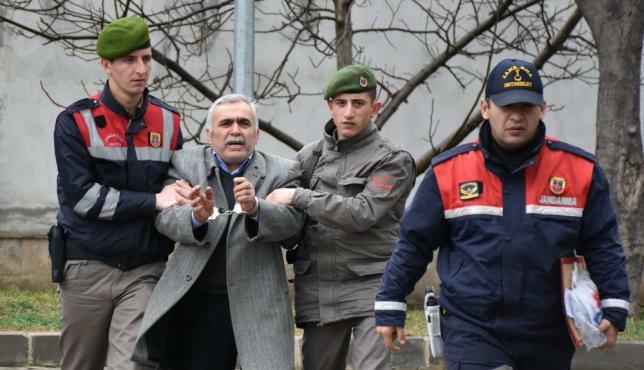 A 58-year-old Samsun man, identified as H.A., who was being sought over his alleged ties to the Gulen movement was caught while he was doing gardening at his yard in the Güngendağ village. Gendarmerie raided H.A.’s home and detained him while he was planting out hazelnut seeds at his garden on Monday. “These [handcuffs] are medals of honor. They found at my home only a prayer cap and a rosary [as evidence],” H.A. shouted through the journalists. Media said H.A. was released only on judicial control later the same day. Turkish government accuses the Gulen movement of masterminding the failed takeover while the latter denies involvement. More than 130,000 were held in custody and some 60,000 of them were remanded in pretrial detention over Gulen ties so far.